In Mount Juliet TN, there are a number of subdivisions and developments that offer 5 bedroom or more homes for sale. Check out Mount Juliet 5 bedroom homes below or check out some of the following Mount Juliet Subdivisions: Baird Farms Subdivision, Beckwith Crossing Subdivision, Jackson Hills Subdivision, Masters View Subdivision, Nichols Vale Subdivision, Oakwood Acres Subdivision, Springdale Subdivision, Tuscan Gardens Subdivision, Wright Farms Subdivision and Wynfield Subdivision. 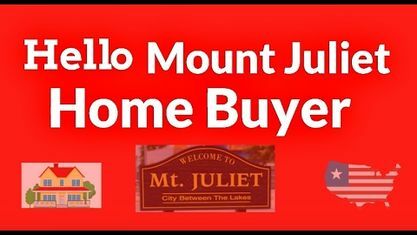 View our selection of available properties in the Mount Juliet 5 Bedroom Homes area. Get to know Mount Juliet 5 Bedroom Homes better with our featured images and videos.